Yeah, yeah, we know — you hate hatchbacks and wagons. Mmm-hmm. We’ll pretend to listen — and we’ll even ignore that crossover parked in your driveway. You know, the one with the hatch in back and the station-wagon shape? Whatevs, ya big hypocrites. Europeans aren’t closeted in their hatchback love so, yeah, Ferrari built a wagon. 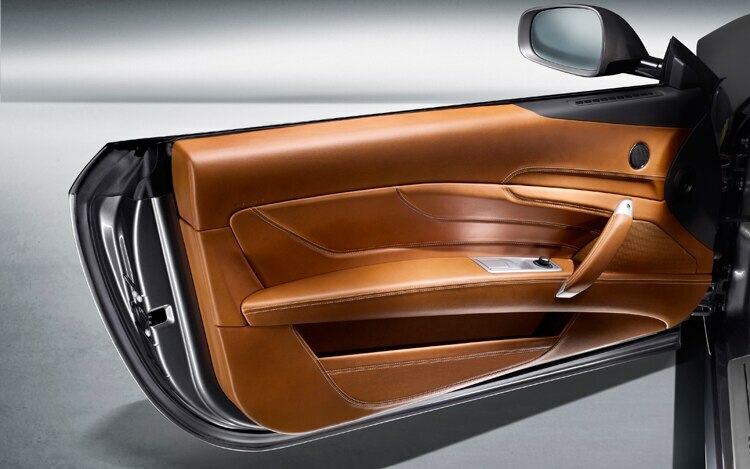 A shooting brake, technically — because it has only two side doors — like the BMW Z3 and Z4 “coupes” of the last decade. 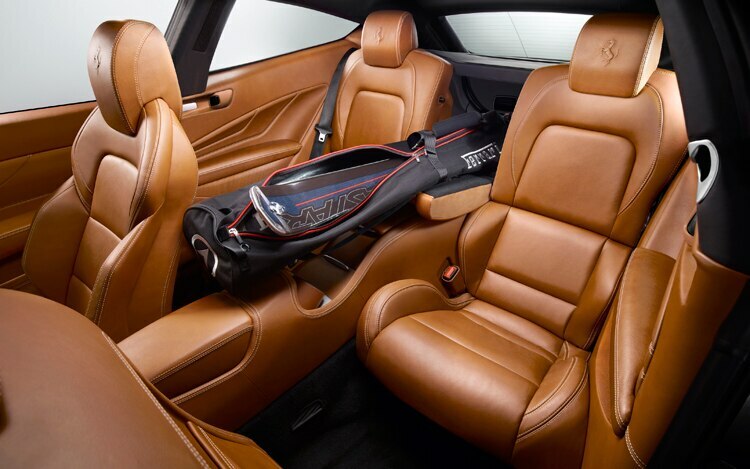 Like the BMWs, Ferrari’s shooting brake isn’t exactly beautiful to our eyes, but it is, however, badass awesome looking. For the record, it looks a lot better on the road than it does in photos — and your author loves it in ways and wants to lick it in places that aren’t suitable to describe even on the Internet. 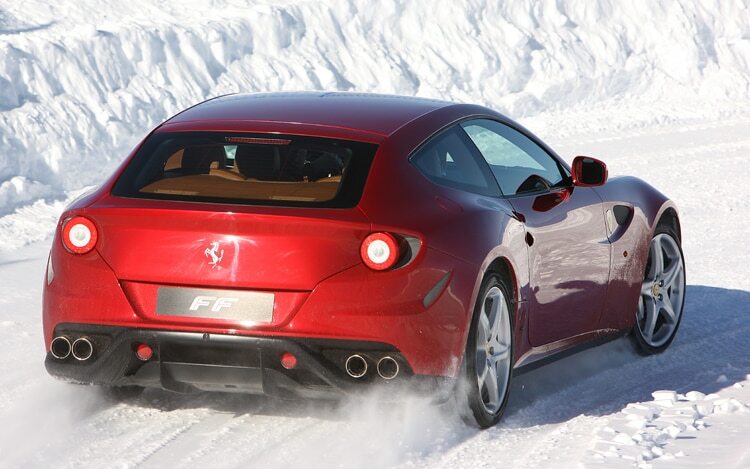 If the polarizing body isn’t enough of a shock, the FF is also the first-ever four-wheel-drive Ferrari. Consider it a double-whammy on the wow chart. Considering Ferrari’s run of spectacular cars over the past few years, there’s one total non-surprise: it’s spectacular to drive. 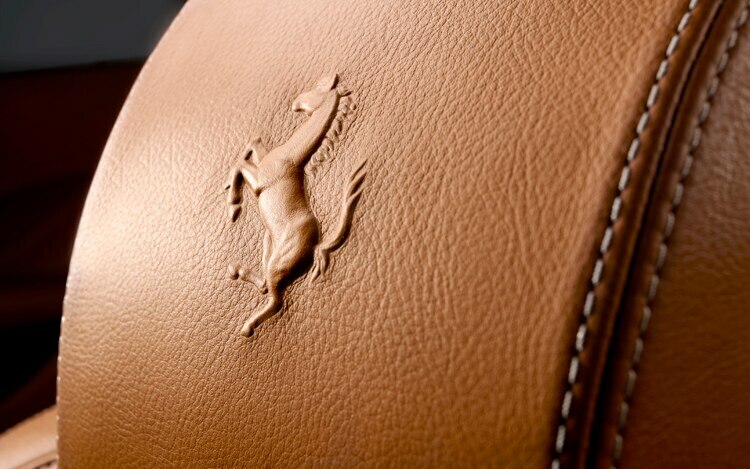 Let’s examine Ferrari’s FF piece by piece. The FF, chassis code F151, is about the same size and weight as the 612 Scaglietti it replaces, though it’s almost an inch and a half taller. 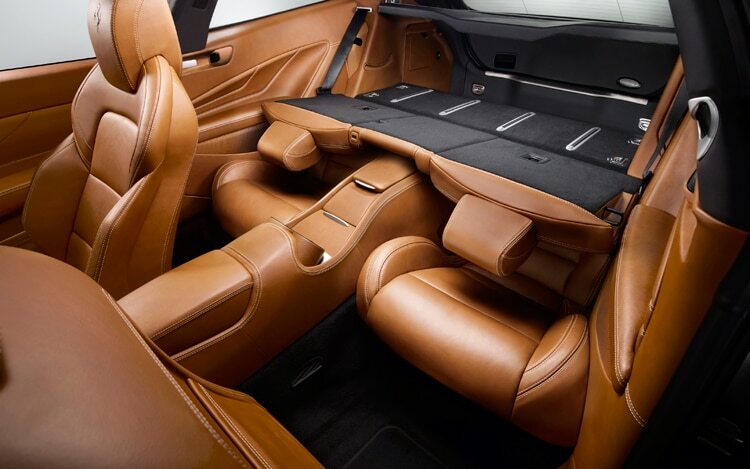 Its wheelbase is about four inches longer — half of the additional distance between the wheels went to additional back-seat room, the other to package the four-wheel-drive system. The back seat is very usable, and in fact we stuffed four grown men inside, ranging from five feet, nine inches to six feet, two inches — with the tallest guy behind the driver, who was second tallest. There was not a single complaint to be heard over the sonorous V-12. Add to that a trunk with more cargo space than a Porsche Panamera’s, and you have a car that’s dramatically more usable than its predecessor. 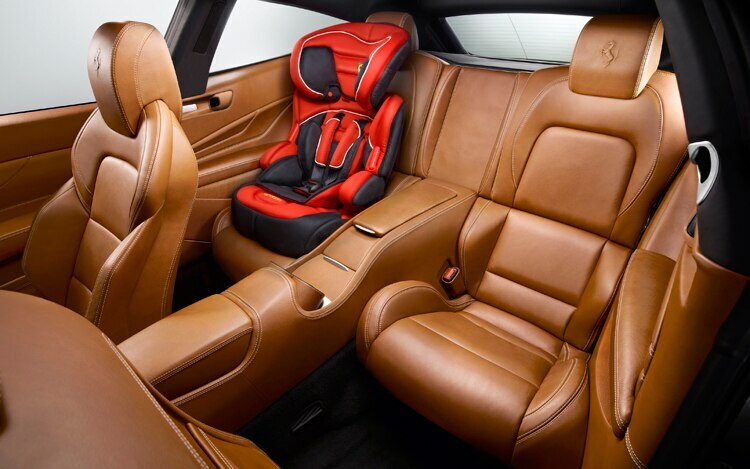 As a bonus, the rear seatbacks fold down to expand cargo capacity even further. Ah, the magic of hatchbacks. The hatch provides great rearward visibility, too — at least by this segment’s standards. 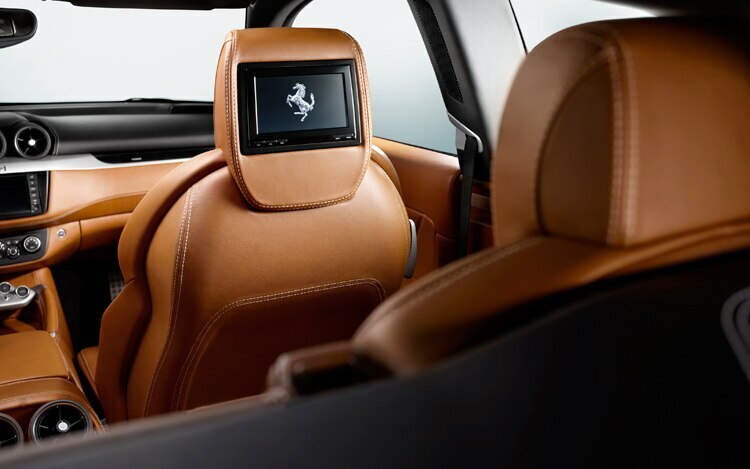 Double-pane frameless windows keep wind noise outside, and the latest version of Ferrari’s magneto-rheological suspension offers a supple ride, despite its large, twenty-inch wheels. That the computer-controlled suspension quells every single unnecessary body movement goes without saying. One of the FF’s coolest options (in addition to a JBL sound system rated at 1.7 horsepower worth of sound output) is a small LCD screen inset into the passenger-side dash. The monochrome display isn’t particularly high-res, but it can show a number of trip-computer functions or a so-called “performance screen” that displays gear, engine RPM, and road speed. Ferrari enabled a special screen for the media launch that showed the amount of power going to the front wheels; it’s a shame that screen won’t make it into customer cars. (Unless Ferrari’s engineers read this and change their minds.) We’re hoping that Ferrari changes its mind about a power rear lift gate that it’s developing for the U.S. market. A heavy device mounted so high in the car would be sacrilege to a company so performance-obsessed. As you’d expect, this newest V-12 receives the direct-injection system we first saw in the California and 458 Italia’s V-8s, along with twin continuously variable valve timing and a host of engineering features to reduce internal resistance (for more power and less fuel consumption). The new V-12 uses the six-into-one headers we saw on the 599GTO rather than the conventional three-into-two-into-one design, so the FF’s exhaust note is more like a muffled GTO — meaning it’s an angrier sound, combining a thundering bass component and a screaming upper register. It sounds like two engines yelling at once — and we couldn’t stop taking advantage of that in every tunnel we drove through. And every valley we drove in. And, well, on every street we drove along. Peak output is up significantly over the 612’s, and it occurs at a much higher point in the engine’s rev range: 651 hp at 8000 rpm versus 532 hp at 7250 rpm. That does mean the FF’s V-12 pulls hard all the way to its 8200-rpm fuel cutoff instead of trailing off in thrust as you approach the red zone. It does not, however, mean that you need to rev this engine to the moon to get lots of grunt out of it. Peak torque is a robust 504 lb-ft at a lofty 6000 rpm, but the V-12, code-named F140-EB, produces 370 lb-ft at 1000 rpm, and more than 80 percent of peak torque by 1750. Clearly there’s no low-end-torque deficit. The FF has two transmissions. Yes, you read that right. Located right ahead of, and transmitting power to, the rear wheels is a seven-speed, dual-clutch automatic transaxle similar to the one in the California and the 458 Italia (just beefed up for the V-12’s additional output.) 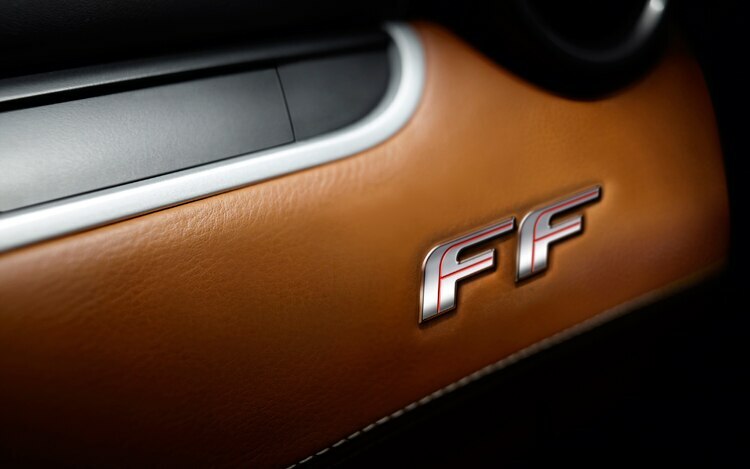 Unlike those cars, however, the FF is geared for maximum performance in the first six gears — and indeed its top speed of 208 mph is reached in sixth gear. Seventh gear is used to reduce engine revs — and correspondingly, fuel consumption — while cruising. 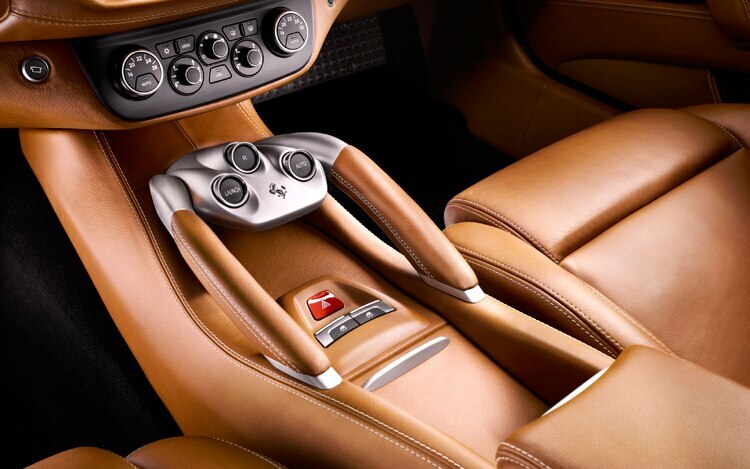 Like all Ferrari automated manuals, the FF’s transmission offers an automatic mode for drivers who can’t muster the energy to pull the fixed paddles behind the steering wheel — or for those drivers who don’t understand how or why to do so. And that’s where the FF’s only big problem lies: the automatic mode is a bit of a misnomer: it’s really only semi-automatic, as it won’t perform multiple full-throttle downshifts. That means if you’re trundling along at 40 mph in automatic and you mash the throttle, you’ll get a downshift to fourth gear, a couple thousand revs on the tach, and not much additional forward progress. Ferrari’s engineers still don’t understand why this is a problem, pointing out that you can just pull the left paddle for each additional downshift you want. The word “automatic” must have a different meaning in Italian, because this is not only counterintuitive, it’ll be a source of frustration to any FF owner who just wants to get in and drive it like a regular automatic transmission car. And let’s not forget that the big reason to upgrade to a dual-clutch transmission in the first place is to offer a smooth automatic mode, since its shifts are barely noticeable — whereas a single-clutch unit’s shifts are accompanied by a big head toss right when you least expect it. Oh, what’s that? You want to know about the second transmission? 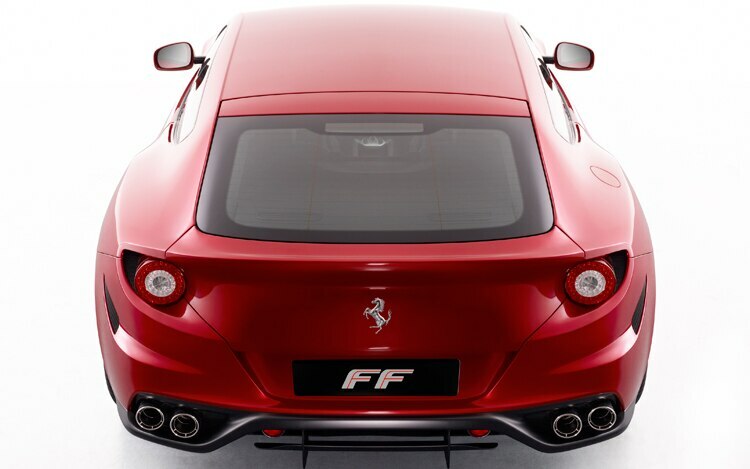 The FF, like all modern V-12 Ferraris, has its engine mounted completely behind the front axle but its transmission at the rear of the car, so Ferrari knew it would have a tough time getting power to the front wheels. The rather inelegant (and very heavy) Nissan GT-R solution was to run a second driveshaft from the transaxle all the way back up to the front. That would never do for Ferrari, a company focused not only on keeping the car’s weight low but keeping the big masses mounted low in the body. Ferrari also insisted on the 47/53 percent front/rear weight distribution it considers ideal. The FF’s solution is little short of genius: Ferrari placed a small, second transmission on the front of the V-12. Unceremoniously (and refreshingly) called the PTU, or power transfer unit, the device adds only 6.7 inches to the length of the powertrain — and though Ferrari didn’t divulge its weight, your author picked up a sample unit with ease — it weighed maybe 50 lb. Contained in its aluminum housing are two gears, one that roughly approximates the main transmission’s second gear and one that corresponds to fourth. There is no differential; instead, each front wheel is connected to its own carbon-fiber clutch-pack inside the PTU — and they can be engaged individually to perform a torque-vectoring function. The idea is simple: under most circumstances, four-wheel drive isn’t needed, and the unit is inactive. Should the driver’s request for engine torque exceed Ferrari’s sophisticated, predictive computer algorithm (or, um, he just lights up the rear tires), the system will start slipping the clutches to add power to the front wheels. The clutches are good for about 1500 lb-ft, but the system rarely transfers more than 1100 lb-ft to the front wheels — about a quarter of peak torque in second gear. The PTU can switch between the two gears in about a tenth of a second, and it chooses its gear ratio solely base on what the rear transmission is doing: in first and second gears, the PTU is in its low range. In third and fourth, it’s in its higher range. In fourth through seventh, it’s disengaged completely. Is it a problem that the FF can’t engage the front wheels in top gear? Well, when was the last time you ran out of traction on the highway in top gear? Right, never. Fourth gear — and therefore the front-wheel drive — is good for 133 mph, and that’s likely fast enough for even the most insane snow drifters. Like your author. With enough computing power to launch a fleet of space shuttles, the whole system (which also includes Ferrari’s rear E-Diff limited-slip differential) is called 4RM, which stands for 4 Ruote Motrici in Italian — or 4 Wheel Drive. It’s an evolution of the predictive system in the GTO that watches each wheel’s speed (and the car’s overall attitude) to predict how much traction is available at each individual corner. Ferrari repeated over and over (and over and over!) that the four-wheel-drive system is not used to enhance performance in the dry, only to increase the FF’s usability in bad conditions. We call that line of spin BS. We’re not sure why the company is so insistent upon this, but we suspect it’s so Lamborghini can’t say “Ha! Told you so!” The system works flawlessly in the dry, turning first- and second-gear hairpins that would normally be a festival of wheel spin into perfectly controllable four-wheel drift-a-thons. Cars like the Nissan GT-R and Mitsubishi Evo have proven that sophisticated computer controls have made Four Wheel Drive no longer a Four Letter Word as far as handling is concerned. Those two cars, previously the champs in this regard, use four-wheel drive to mask an inherent weight-distribution problem — and their AWD systems add a tremendous amount of weight. Not so the FF. Through brilliant engineering, it maintains all of the handling prowess and (relative) light weight of a rear-wheel-drive Ferrari with no drawbacks. First of all, as the driver, you’re blissfully unaware of the 4RM system at work. There is zero torque steer, and thanks to Ferrari’s predictive logic, there’s no awkward transition wherein you wait for the front wheels to engage after you’ve started spinning the rears. 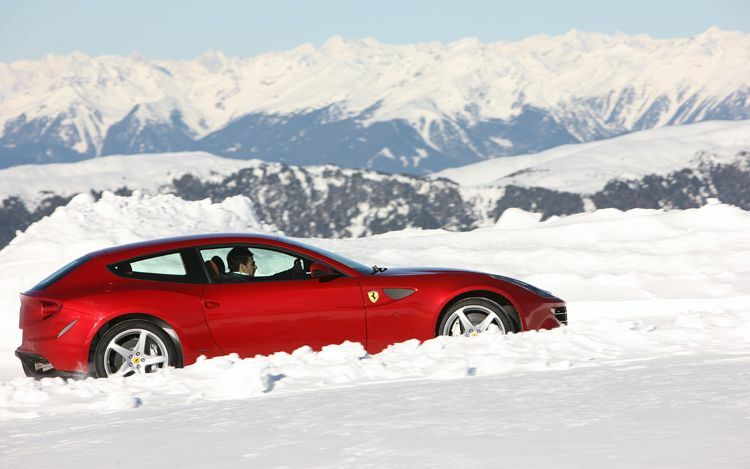 In dry or in the snow, the FF just goes in whatever direction you point it. Even if that direction is sideways. Even if that’s starting out on a big hill in snow. Under light-load conditions, such as snow and ice, you can hear a subtle change in the engine’s sound when the system engages. This isn’t really unexpected, since the PTU acts like a big vibration damper on the front of the crankshaft. Suddenly, the engine’s vibration — which you hadn’t even realized was there — disappears, and you hear a quiet moaning as power makes its way to the front wheels. It’s neither good nor bad, it just is. Handling is, in short, unbelievable. 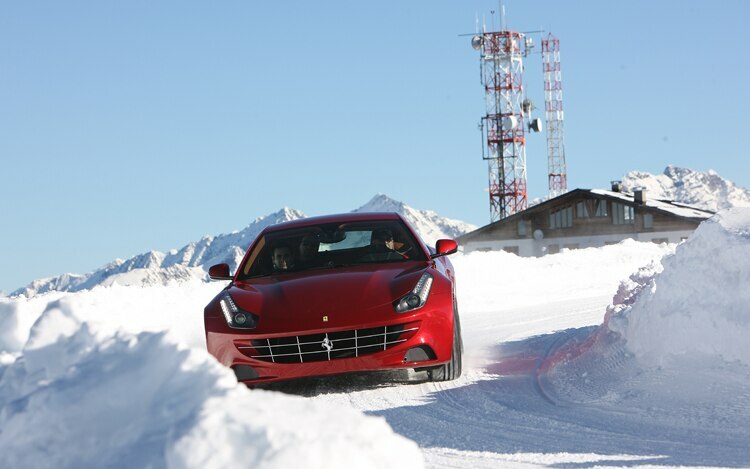 We were lucky enough to drive an FF on dry roads equipped with summer tires (Michelin Pilot Super Sports, which made their debut on the 458 Italia and the 599GTO) rather than the winter tires that we heard our peers complaining about. On the Super Sports, the FF flat-out refuses to understeer, clinging to the road at vomit-inducing cornering loads. Power oversteer is beckoned with a twitch of the right foot and then managed easily with the throttle. The computers are, of course, working overtime to apportion power between the wheels, but from behind the wheel, you’d never know it. You just feel like a hero. We’re still not in love with Ferrari’s new steering wheel, which places almost all primary and secondary controls on the wheel — including turn signals, headlight controls, the horn, manettino, wiper controls, suspension adjustment, and engine start button. Frankly, it’s just too much — especially when driving at night in the rain on the highway, trying to operate the turn signals, wipers, and headlight controls. 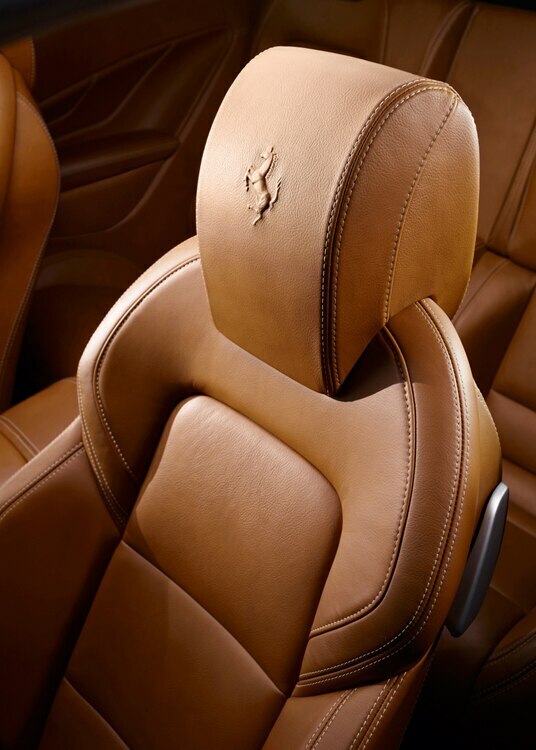 The front seats are firm and supportive, and though they’re not cushy-comfy, they’re easily nice enough for an all-day drive. 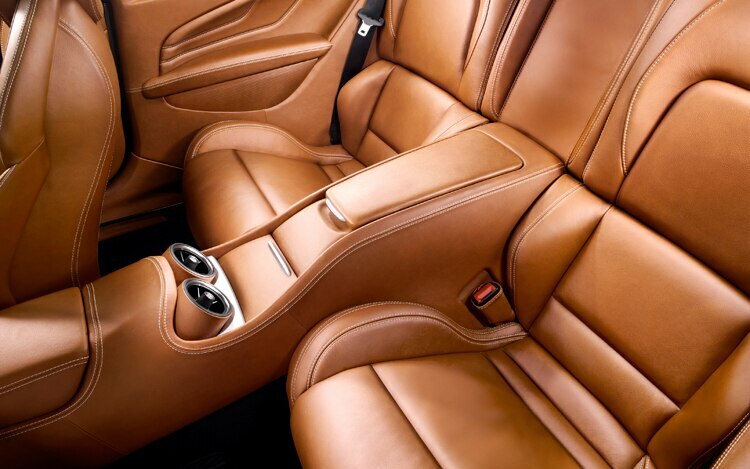 We’d consider the rear seats couple-hours good — which frankly is astonishing for a vehicle that can perform like the FF can. 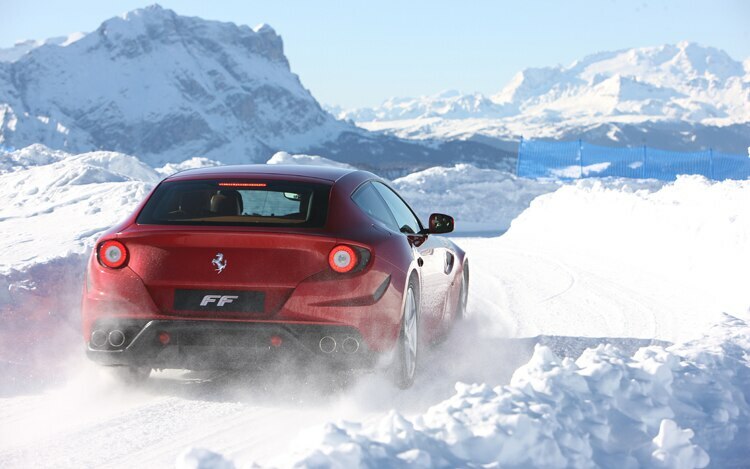 Astonishing, too, is how well the FF performs in the snow. 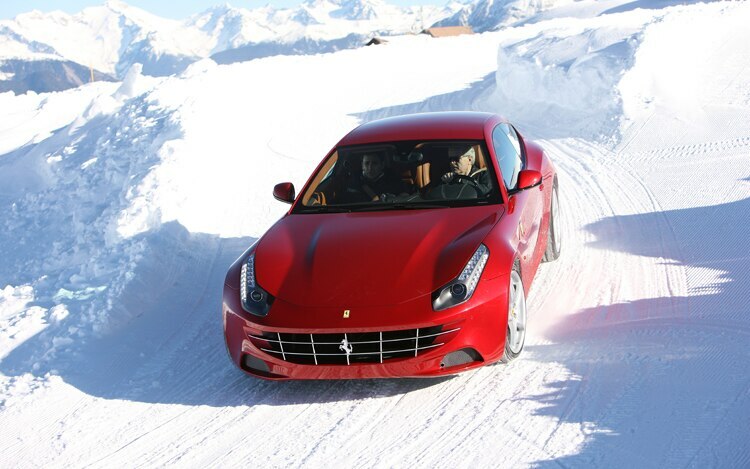 Ferrari set up a small snow course at the top of a ski slope. 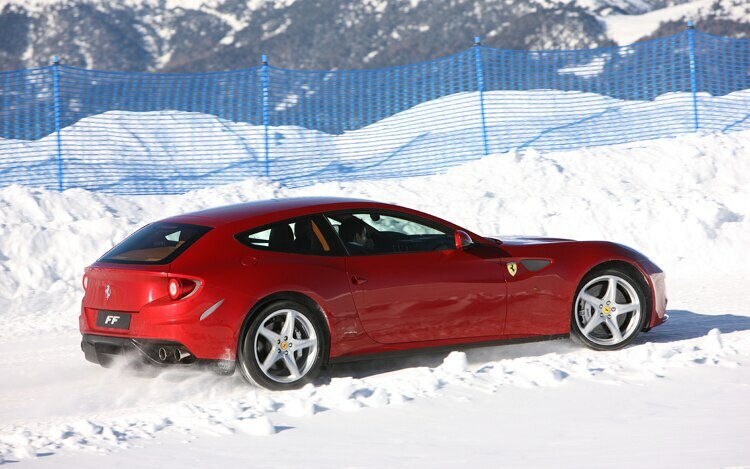 And added to the list of firsts — Ferrari makes a shooting brake, Ferrari makes a four-wheel-drive car — is, of course, the first time Ferrari has ever handed over the keys to a new $300,000 car to a journalist, in the snow, and not been concerned in the least. This is Ferrari’s coolest car in a long, long time.